The bathroom uses the most water in your home. A flawless drainage system is key to avoid plumbing emergencies and damage to your home. If your residential plumbing is outdated or needs repair, a plumbing company needs to install new or updated pipes. You may even need a new sink, toilet, faucet, or shower head. Often, plumbing maintenance is do-it-yourself (DIY). It's easy to avoid throwing anything but toilet paper in the toilet. It's easy to clean a shower head with vinegar or schedule routine plumbing maintenance with Warner Service. Yet, big plumbing projects, like replacing or repairing entire drainage systems, require a professional. If you attempt these projects without the proper education or experience, a small leak can turn into a big plumbing problem. Leaks aren't the only plumbing problem, either. Mistakes in these bathroom projects can result in mold and mildew buildup, damaged floors, broken bathroom tiles, and more. No matter how "simple" or "DIY" the project seems, contact a professional to get the job done right the first time. During new bathroom plumbing installation, pipes are temporarily exposed. If you live in an older home, galvanized steel pipes are likely still intact. This plumbing material corrodes over time and causes health and efficiency problems. Take advantage of the new plumbing installation and ask about copper, PEX, or CPVC pipes for your bathroom. These plumbing materials are more cost-effective, flexible, and durable. They're also easier to install than steel. 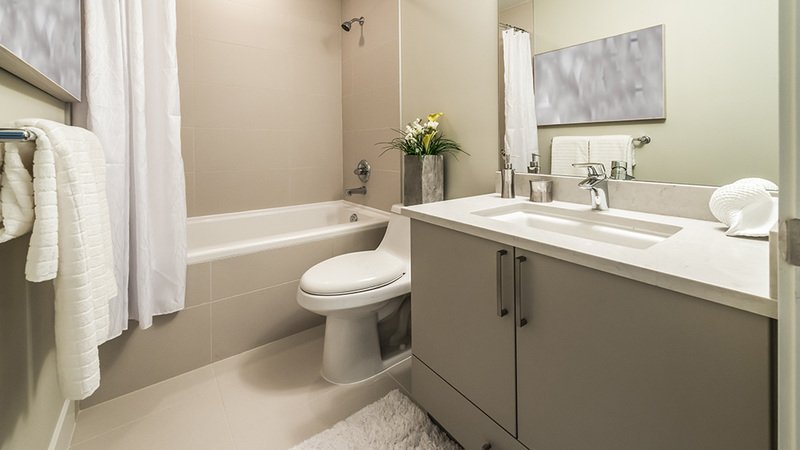 If you're planning a bathroom remodel in your home, hire professional plumbers to work with the remodeling company. (Some remodeling companies have subcontracted plumbers on call.) It's easiest to knock both projects out at once. These plumbers help keep the new construction within local code restrictions. They also ensure that the new plumbing installation works well as the old plumbing operates. To ensure that new plumbing installation in your bathroom goes right, trust the pros at Warner Service. We also offer quality plumbing repair and maintenance to keep your bathroom efficient. You can also download our Senior Citizen Bathroom Safety Checklist to see if your bathroom is up-to-code. If not, call Warner Service for new pipes in your bathroom.